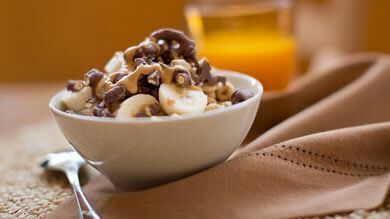 Top with cereal, banana slices and pretzels. Drizzle with melted peanut butter. Serve immediately.